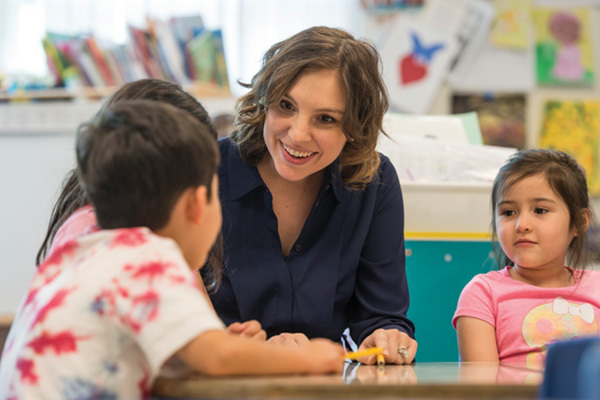 The way children engage with their teachers, peers, and tasks is vital to the success of early-childhood education but greatly underestimated, according to new Northwestern University research. Contrary to conventional wisdom, emotionally supportive, well-organized and stimulating pre-kindergarten classrooms may not be enough -- especially for low-income children, according to the study. Children’s individual engagement was related to their developmental gains, even after accounting for emotional support, classroom organization and instructional support at the classroom level. Positive engagement with teachers was related to improved literacy skills, and positive engagement with peers was related to improved language and self-regulatory skills. In addition, positive engagement with tasks was related to closer relationships with teachers. Children who were negatively engaged in the classroom -- those who got into conflicts with teachers or peers -- were at a comparative disadvantage in terms of their school readiness, the study found. Children with higher levels of negative engagement performed at lower levels across nearly all of the academic, language, and social outcomes measured, including lower language, literacy, and self-regulatory skills. High-quality early childhood education has long been hailed as a promising approach to narrowing the achievement gap. But the assessment of early-childhood education programs has emphasized teachers, often missing the central role that children play in their own development, according to the study of low-income, ethnically diverse students. Conducted by researchers at Northwestern, Montana State University Billings and the University of Virginia, the study was published in the journal Child Development. The study looked at 211 low-income, racially and ethnically diverse 4-year-olds in 49 classrooms in state and federally funded preschool programs. Researchers measured the children’s engagement in the classroom by observing their positive and negative interactions with teachers, peers, and tasks. “We have to think about children as active participants in their own education when we are devising interventions,” said Sabol, who also is a fellow at the Institute for Policy Research at Northwestern and leads the University’s Development, Early Education and Policy Lab. The lab produces innovative and functional scholarship aimed at improving the lives of low-income children. A former first-grade teacher, Sabol personally observed these patterns in her classroom at Lavizzo Elementary School on Chicago’s South Side, where she taught first graders with Teach For America before enrolling in graduate school. The student body at Lavizzo is 96 percent low-income, according to the 2015-16 Illinois Report Card.